There is one attribute, one conflict, one character, one result, and lasting effects of this creative player inspired story. The die roll results generated are vague enough to mold many different ideas into the flash fiction. If you want to try generating a small summarized story in under 1,000, 500, or even 100 words give Flash RPG a try. Other non-D6 Generator Chart series products may be used to expand this system. 7 pages including cover, just over 2 pages of instruction with an in text example, 1 page if two separate examples, 1 page of suggestions on using Flash RPG to generate Adventure seeds, character backgrounds, and suggestions summarizing which generator tools can expand various details such as 144 plots in the Plot Generator. 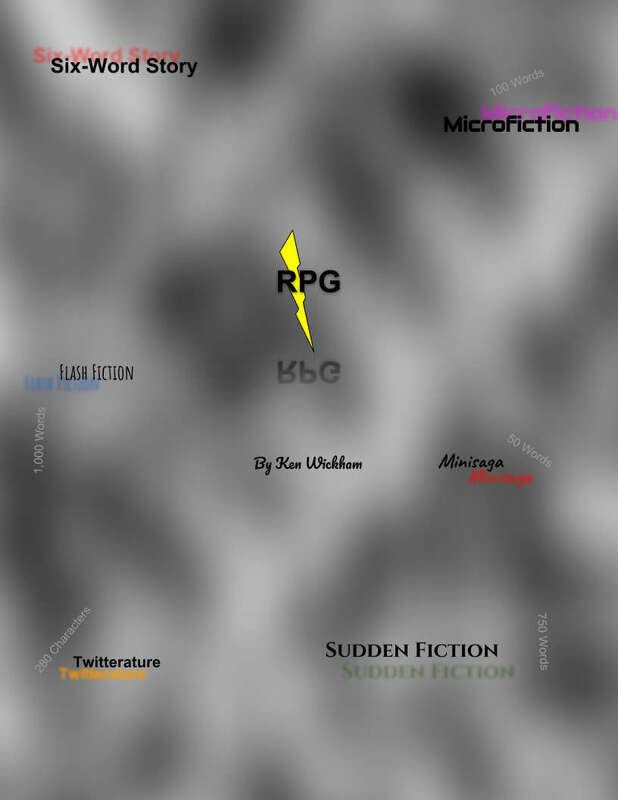 The RPGs take you with a main character on an story adventure from a beginning, through rules and a series of steps to lead you to a story end. A storyline which just has one conflict and one ending, like the Flash RPG created stories can be extended by adding to additional conflicts with consequences. This book has has 6 sections and around 11 main steps to help flesh out into three conflict in Three Conflict Chain RPG — an expansion to FRPG. In this game 36 story openings, 6 types of inciting events, and three conflicts looked at by asking 6 question-words using the inquest table, and maybe adding a plot twist are used to create series of conflicts explaining what happened to reach the final conflict result. This helps to explain ‘what happened’ in that great story seed. This book was created after Flash RPG and the Three Conflict Chain RPG to help fill in background and transition details to three conflict flash fiction story. It is an engine that adds scene types into flash fiction or short stories. The content is word-based rather than numerically-based. The engine takes in information and creates a usable output of words, decisions, suggestions, or guidelines. To further flesh out the three conflict stories, additional scenes are added using the Deep Dive Engine. In this engine, six kinds of scenes are created randomly: explanation, description, transition, narrative, action, and reaction scenes. This adds further character development, background stories, connects the major conflicts, and can add subplots. This title was added to our catalog on May 22, 2018.